How Can I Optimize My Website for Mobile Devices? Since nearly everyone has a mobile device, mobile web browsing has rapidly increased in popularity. As a result, more and more users are making mobile web purchases. Having a properly optimized website for all mobile devices will help you remain profitable and even give you an edge over the competition. 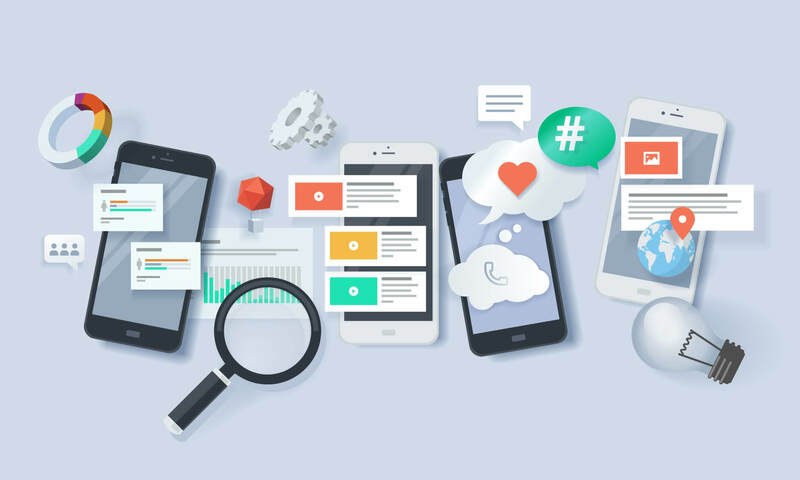 Here are 4 ways to optimize your website for mobile devices. Because there are various screen sizes and many different devices, the layout you select must be able to adapt to as many mobile devices as possible. Users with larger screen devices such as the iPhone 7 Plus must be able to view your website the same way as users with a smaller screen device. It is best to use percentages as a metric for your layout instead of pixels or any other definitive measurements. Your website should be able to provide visitors with all the information they are looking for in the quickest time possible. An example of this is by providing a search box that allows visitors the option to search directly for what they are looking for. You want everything on your website (such as buttons, tools, and columns) to be easy to navigate. This may include product information, product reviews, nearest physical locations, and contact information. Tailoring your website for every single user may be a counterproductive strategy. If you know who your users are and understand their web browsing process, you can determine their intent. Most visitors generally fall into two types, those that are browsing with an intent and those without. Visitors browsing with intent would require different functionalities on the website than those without intent. Hiding or omitting content on your website from mobile users will often result in negative user experience. A much better option would be to either simplify your website or perhaps move some of the content to different pages. For instance, compared to the desktop version, the mobile version of your site may omit some of the images while still keeping the headlines and the rest of the content the same.